Startup Village, the leading Russian startup conference, was held in a Moscow suburb at the beginning of June. More than 12,000 people attended the conference, from 19 countries. The Skolkovo Innovation Centre hosted ‘Startup Village’ on June 2 and 3. This is Russia’s largest conference for technology entrepreneurs. The total amount of financing secured by startup s during those two days exceeded a million dollars. In the six years since it was founded, Skolkovo has developed from an unknown village outside Moscow into a major international technology centre. With its own foundation for raising investment Skolkovo has 1,500 resident companies, whose combined sales in 2015 exceeded $1 billion. It also has several large-scale projects, including the Skolkovo Institute of Science and Technology (Skoltech) which was established with support from MIT. 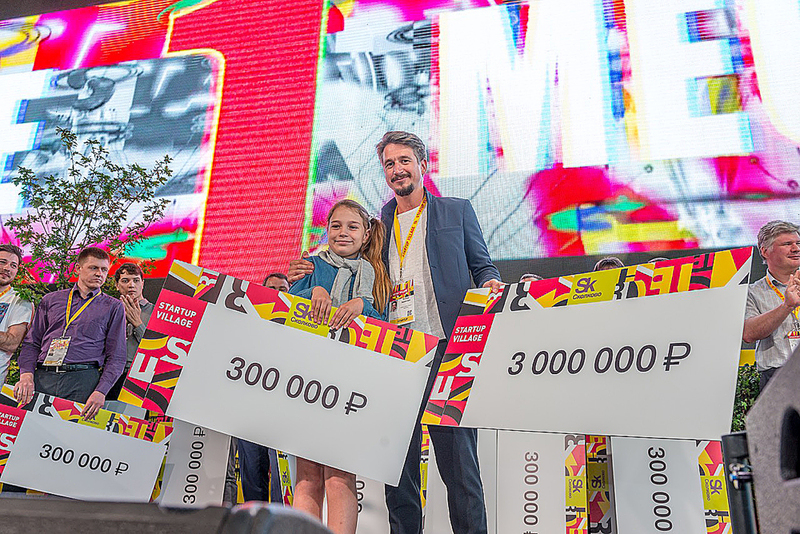 Startup Village hosted the finals of an innovation competition for which organizers spent a year choosing from among thousands of young Russian entrepreneurs. Multikubik, a portable cordless projector for showing animated and slide films on walls and other surfaces, won first prize. The projector does not require a memory stick; content is stored in a smart silicon case. Multikubik raised over $107,000 in May on the Indiegogo crowd funding website. Its victory in the Startup Village competition helped the company get $45,000 more for development. In second place was AGCT, a startup working on a treatment of HIV and HIV-associated tumours, using stem cell transplants and genome editing. The team was awarded around $30,000. The third place, with a prize of over $15,000, went to Target Medicals for developing a TB drug. The Foundation for Promoting Innovation also summed up the results of the Start competition for tech entrepreneurs from Russia’s regions, held as part of Startup Village: 34 projects received investment that totalled over $988,000. Will Hyperloop come to Russia? A key feature at this year’s Startup Village was a presentation of Elon Musk’s high-speed rail project, Hyperloop One. The Vedomosti business daily newspaper reported in mid-May that Musk's company and Russian Railways are discussing possible cooperation. Knut Sauer, Hyperloop One's vice-president, explained how the company had gone from an idea to building the first short stretch of test track in Nevada, USA in just 18 months. Hyperloop One is a vacuum tube for a transporter capsule that will reduce travel time and cut costs. A capsule carrying people or goods will travel inside the tube with a speed of 1,130 kilometres per hour. Hyperloop One could reduce travel time between Moscow and St. Petersburg from four hours to 20 minutes. Valentin Gapanovich, senior vice-president for Russian Railways, said he and his colleagues were considering using these capsules in Russia. An important theme at this year’s conference was the issue of cyber security. According to the head of Kaspersky Lab, Eugene Kaspersky, most malicious software is created in China, in the Russian-speaking world, and in South America. “Cybercrime is one of the fastest-growing economic activities in the world today,” said Kaspersky. "The main customers buying this malware are drug cartels and bank robbers. Kaspersky Lab catches over 300,000 unique cyber criminals every day. We're fighting with human brains." The conference also featured a presentation of prototypes of high-security solutions, based on the Tizen operating system, that were developed by Samsung Electronics together with Russian technology companies, NII SOKB, and Infotex. Their first joint project is a new corporate version of the Samsung Z3 smart phone. “In the future, it can become a prototype for a whole model range of protected smart phones, tablets and notebooks based on Tizen,” said Marat Guriyev, government relations director at Samsung Electronics.